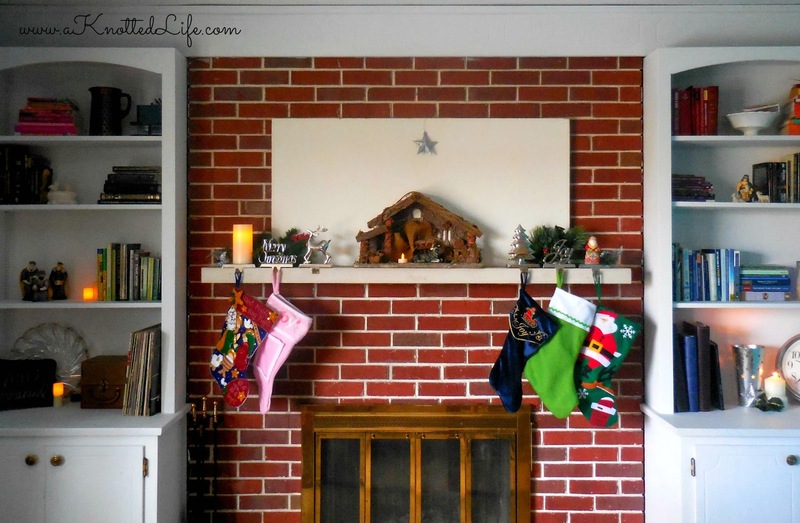 : Doing and Un-doing Advent with More Feasts! 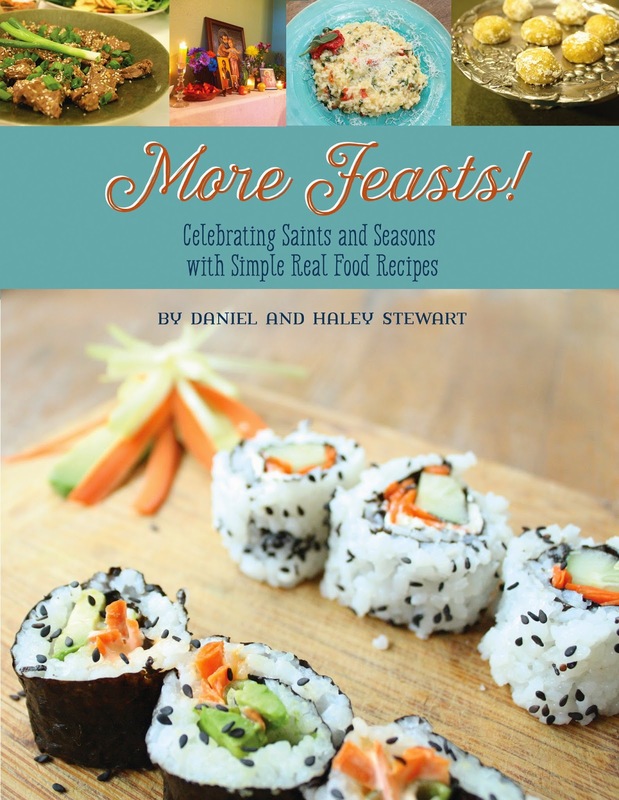 In celebration of my friends Haley and Daniel Stewart's new e-cookbook, More Feasts! 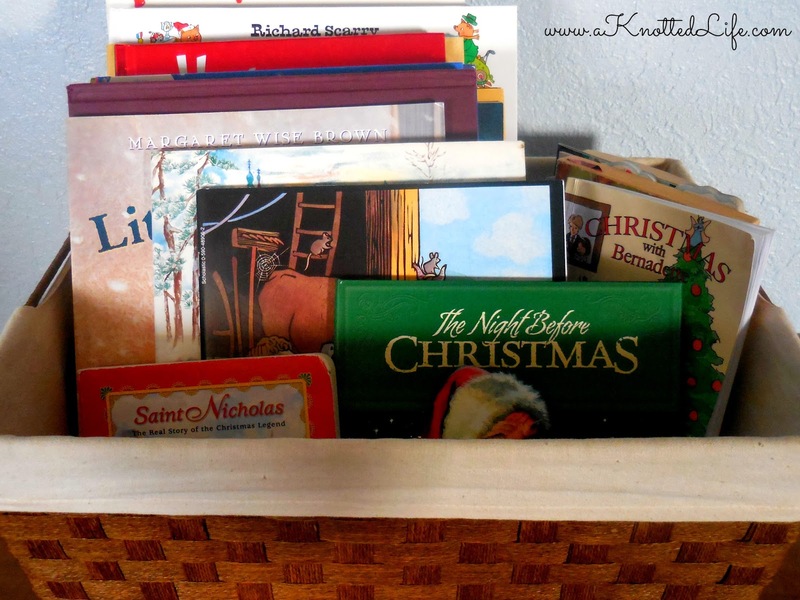 I've been invited to be a stop on the blog tour and share a little bit about Advent in our home. 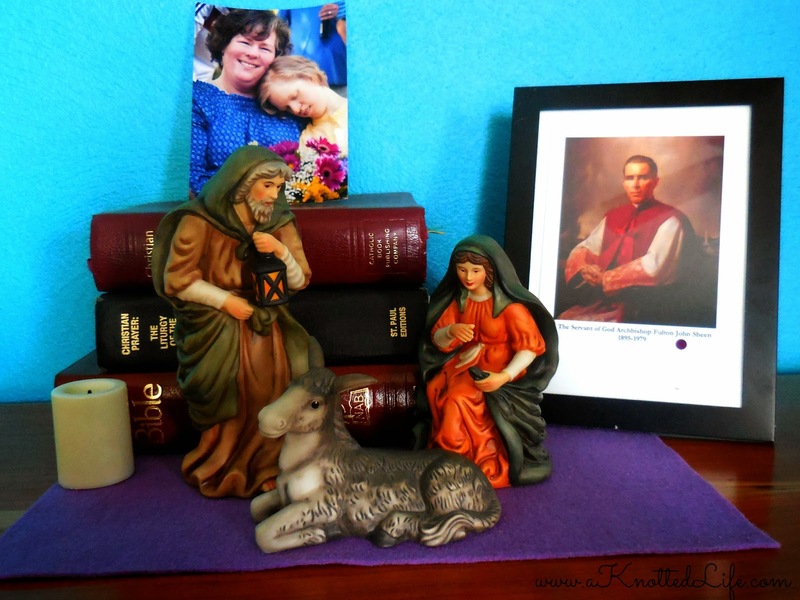 You know me, I love taking pictures of my decorations and talking about liturgical living, so of course I said yes. I decided that instead of doing Advent how I had in the past I would "un-do" it. Some of the basics are still here... The bare minimum. And gosh, it feels good. My life feels more quiet. The doing got to be too much, overwhelming, and burdensome. It became my undoing. The un-doing has taken the pressure off. I so badly want to teach my kids about Christ, the Church, salvation history, the saints, the Bible. I grab hold of all the good things, afraid that if I don't I will bypass the one thing which could have really done it - could have really brought home the Story and the Beauty and the Truth. Me stressing out over an activity is not going to impress upon my children how much God loves them, that Jesus Christ died for their eternal salvation, and that the Holy Spirit lives within them. But God speaks in the quiet and the still, small voice so maybe making less noise will allow them to hear Him. This year I have gone through the calendar and noted which days I wanted to celebrate. 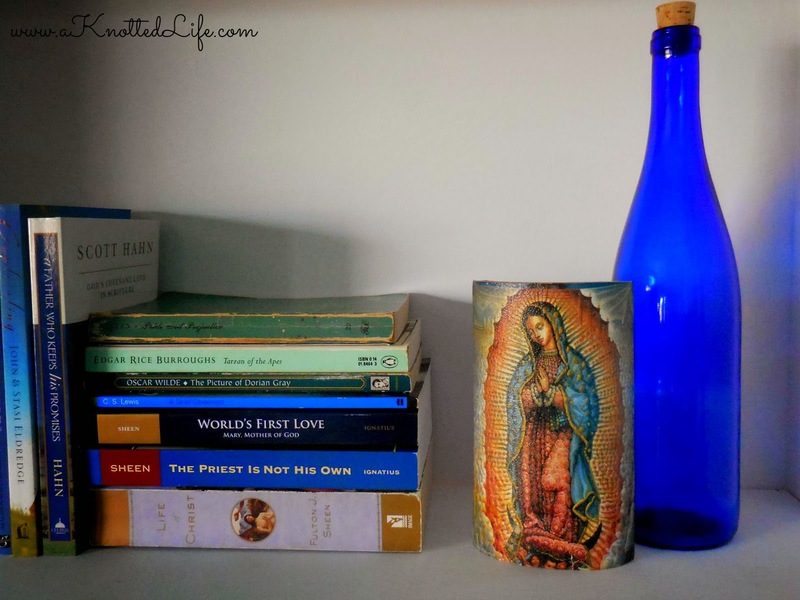 I have gone through our new home and set up the few things that I want to focus on. 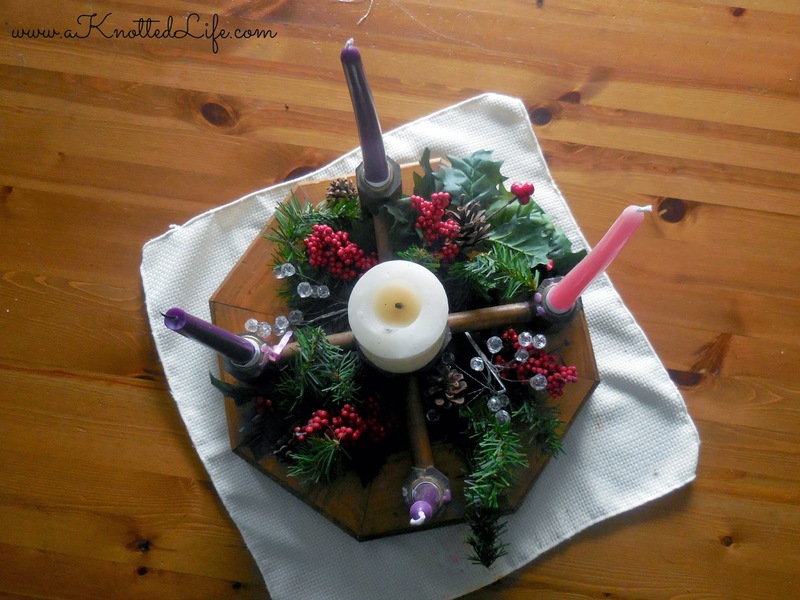 We will pray and eat around our Advent wreath, using Lisa Hendey's book O Radiant Dawn to guide our prayers and dinner conversation. Our nativities are set up, but are empty except for the animals and a candle, waiting for the Holy Family. Our Christmas lights are up outside the house but will only be turned on for feast days until Guadete Sunday. After that they will be on every night through Epiphany. St. Nicholas will fill the kids' stockings on the eve of his feast day (December 6th), bringing chocolate coins and pajamas. On the Feast of the Immaculate Conception (December 8th) we will go to Mass and maybe, if I'm on top of things, there will be rice krispie treats for dessert. Our family celebrates Venerable Fulton Sheen's feast day on December 9th even though it's not yet on the Church's calendar. This year we'll celebrate by having a good ole, Midwestern dinner and then attending L's school Christmas concert. Our Lady of Guadalupe's feast day is on a Friday this year (December 12th) so we'll probably have quesadillas for supper. St Lucy's name means light and so on her feast day (December 13th) we will drive around town and look at the Christmas lights. Maybe, if I'm on top of things, I'll spend part of the previous day making Grace's Santa Lucia rolls. I'm gonna go ahead and call it: probably not. And then it's Guadete Sunday, the third Sunday of Advent, the day we take a little break and Rejoice! because Christ's coming is near. This is the day we put up our tree, bring out the rest of the Christmas decorations (not just the Advent ones), and all the Christmas lights stay on and the Christmas music comes out. Gosh, that still looks like a lot, doesn't it? But it's all pretty manageable. The nice thing is that most of the feast days are easily celebrated at the dinner table. I have to feed the family one way or another, so it might as well include a nod to the saint we're celebrating. Additionally, since we usually eat meatless meals on Fridays, we add another meatless dinner to the week during Advent. Haley and Daniel's Simple Beans and Rice from Feast! is my go-to recipe for that. What about you? 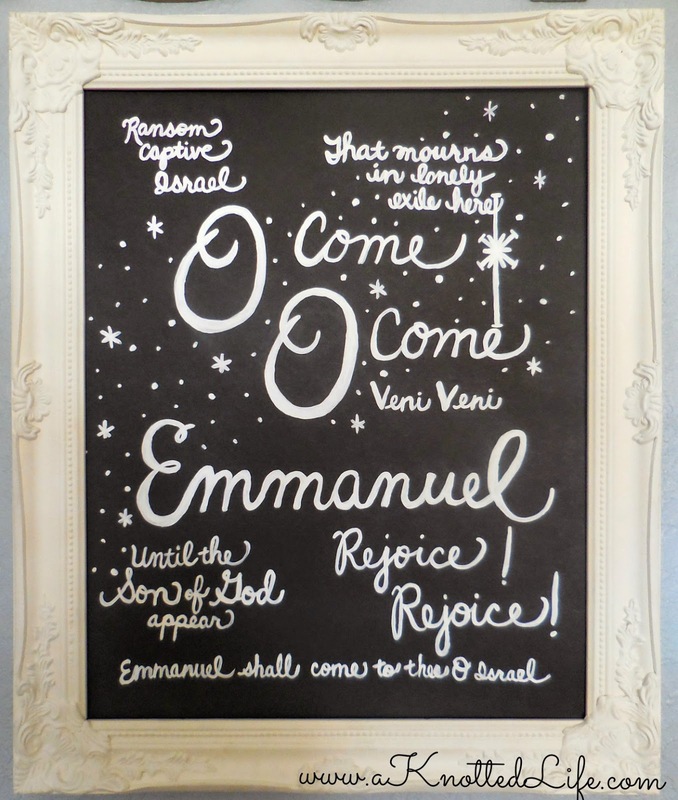 What special meals or traditions will you be using to celebrate Advent in your home? PS - More Feasts! includes ten new real-food, gluten-free recipes, some thoughtful reflections, and lots of beautiful pictures. Click here to view more details and buy the e-book. (I get a small portion for being an affiliate if you purchase through my link.) It only costs $4 and if you use the coupon code HAPPYFEAST you can get 25% off your purchase from now until December 15th. Everything looks beautiful, Bonnie! And fist bump of solidarity - we decorated our tree and pull out the big boxes of Christmas decorations on Gaudete Sunday too! 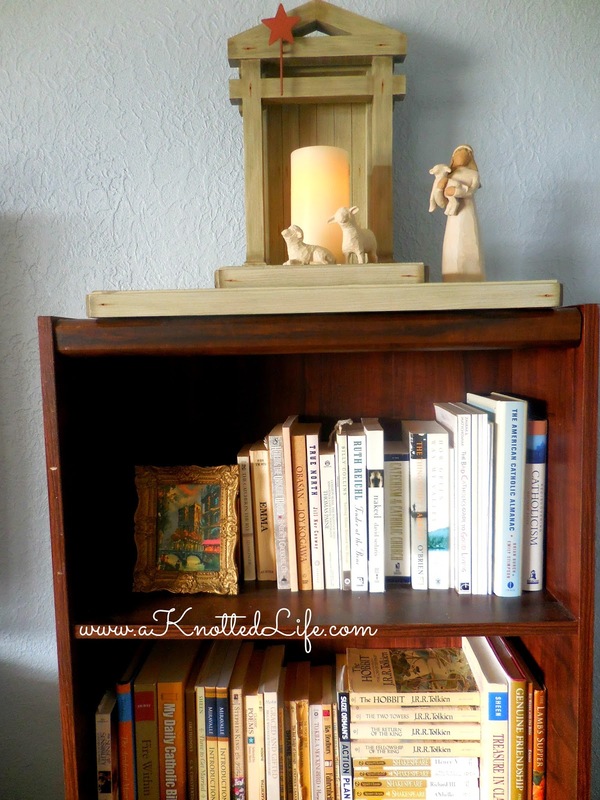 Love these ideas, and thanks for sharing about the new book by Haley! I'm off to get it. I like your list and I like how you make the choice to do less. I've had to do that too with the more kids we have or when I've been pregnant. Adjusting expectations (mine!). And I just started reading Fulton Sheen's books and wow, great stuff. YES! It's all about adjusting my expectations because with my little kids, their expectations are low. 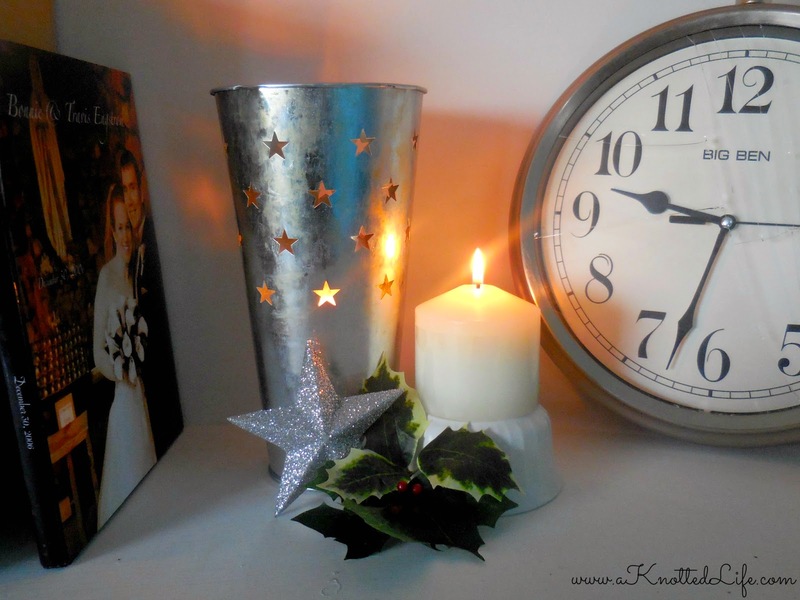 I'm doing the same as you, keeping everything simple this Advent. We are also doing our decorations on Gaudete Sunday and driving around to look at lights on St. Lucy's feast day. Love Catholic traditions! Love this! My husband is gone for the entire Advent so we are scaling back... A few years ago I bought a Jesse Tree Ornament set on Etsy and the readings are super short for a crazy dinner hour. We also put in "good deed" straws in a cardboard manger for baby Jesus. But I am not going to be making a ton of Christmas Cookies, we won't be doing a ton of "extras" and I may even skip Christmas Cards... but this one is hard because I LOVE getting them! This is so great, Bonnie. 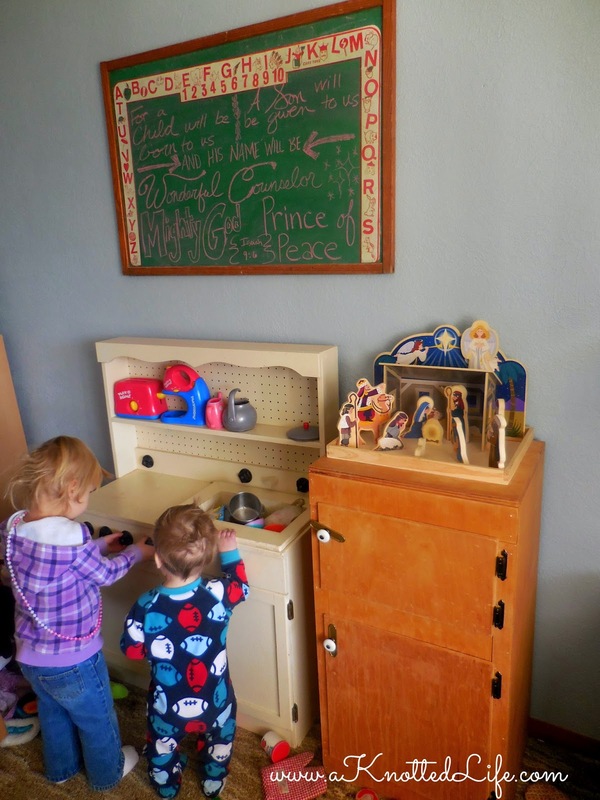 I love seeing what you and your family are doing, and I love that you are embracing the beauty in simplicity. I could take a lesson from you! I love your Nativities! 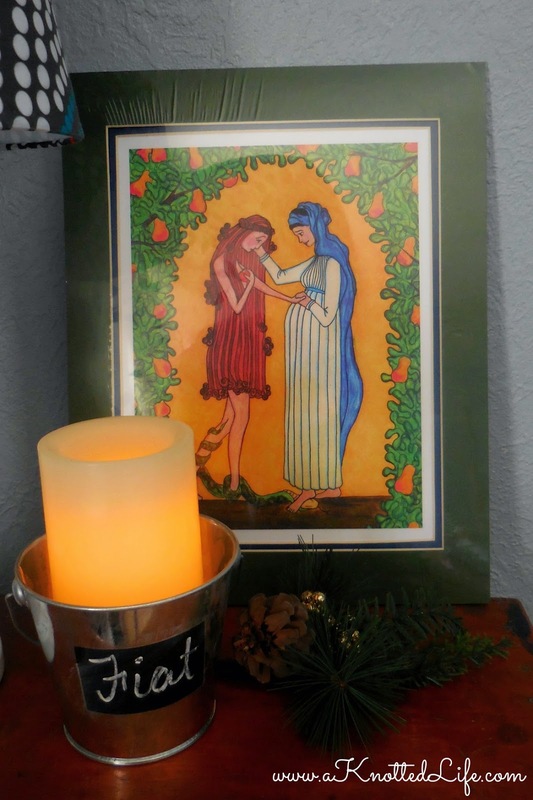 And, I LOVE LOVE LOVE that picture of Mary and Eve. So lovely. I am a convert (Easter 2014) and we sort of did Advent last year, but we are really trying this year, and it feels so overwhelming. It is nice to see someone do things reverently and simply.